Chapter 8: Is This God's World? The text of Atom-Smashing Power of Mind is available here by clicking on the links to the right. 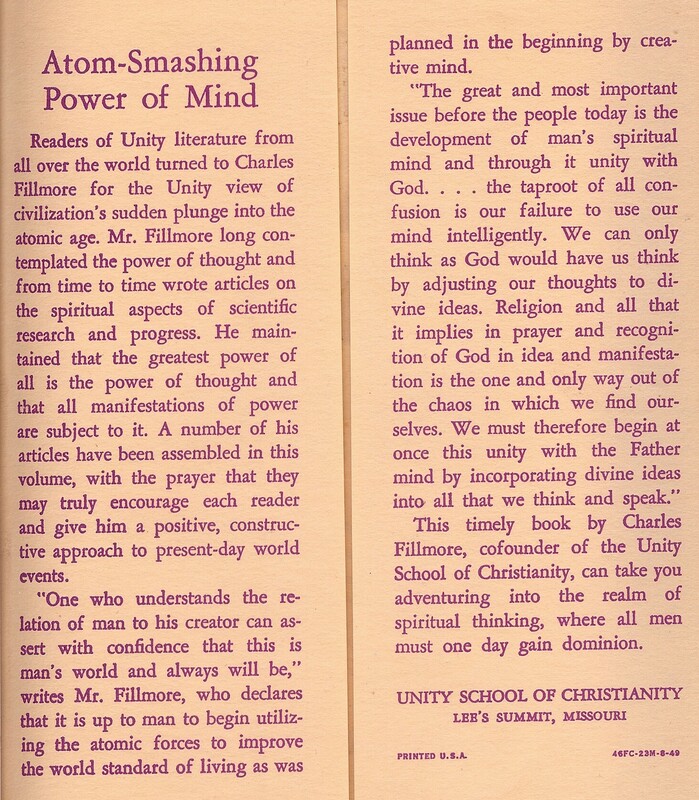 Readers of Unity literature from all over the world turned to Charles Fillmore for the Unity view of civilization's sudden plunge into the atomic age. Mr. Fillmore long contemplated the power of thought and from time to time wrote articles on the spiritual aspects of scientific research and progress. He maintained that the greatest power of all is the power of thought and that all manifestations of power are subject to it. A number of his articles have been assembled in this volume, with the prayer that they may truly encourage each reader and give him a positive, constructive approach to present-day world events. 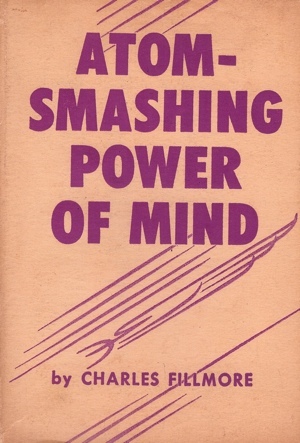 "One who understands the relation of man to his creator can assert with confidence that this is man's world and always will be," writes Mr. Fillmore, who declares that it is up to man to begin utilizing the atomic forces to improve the world standard of living as was planned in the beginning by creative mind. "The great and most important issue before the people today is the development of man's spiritual mind and through it unity with God. ... the taproot of all confusion is our failure to use our mind intelligently. We can only think as God would have us think by adjusting our thoughts to divine ideas. Religion and all that it implies in prayer and recognition of God in idea and manifestation is the one and only way out of the chaos in which we find ourselves. We must therefore begin at once this unity with the Father mind by incorporating divine ideas into all that we think and speak." 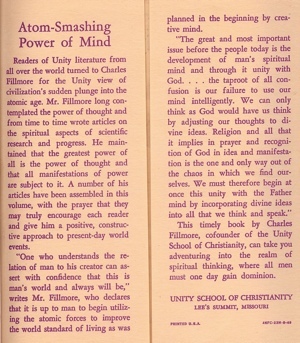 This timely book by Charles Fillmore, cofounder of the Unity School of Christianity, can take you adventuring into the realm of spiritual thinking, where all men must one day gain dominion.